This pathway provides guidance for imaging cancer patients with suspected bony metastases. Image 1a (Plain Radiograph): Pathological fracture (arrow) secondary to a lytic bone metastasis (arrowhead) in the distal femoral shaft. Image 2a (Computed Tomography): Metastatic disease (from primary breast cancer) is present in the thoracic vertebral body (arrow). 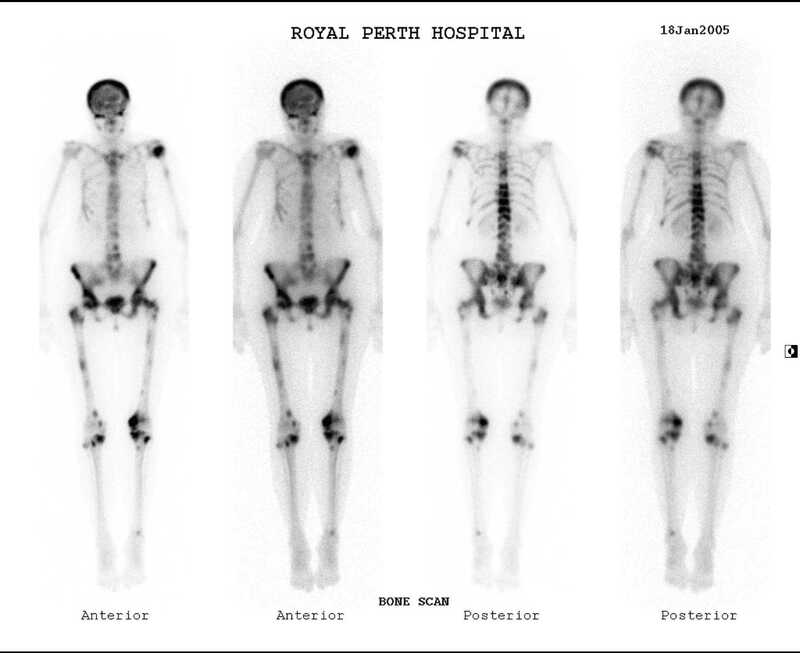 2b Image 2b (Isotope Bone Scan): Bone scan of the same patient demonstrating disseminated metastatic disease in the head of the left humerus, thoracic vertebral bodies, pelvic bones, femur and tibia bilaterally. 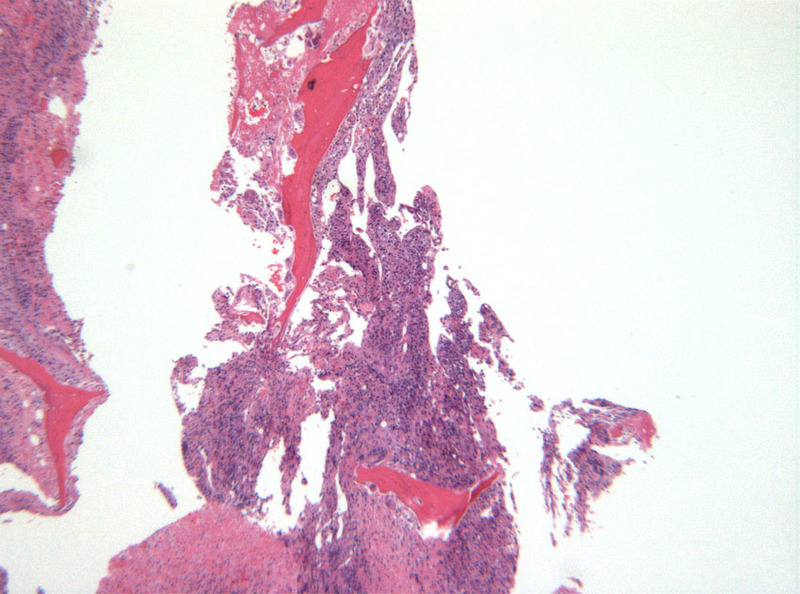 Image 3: Metastatic deposits are present within the medullary cavity of the body and neck of the femur from a transitional cell carcinoma of the bladder. 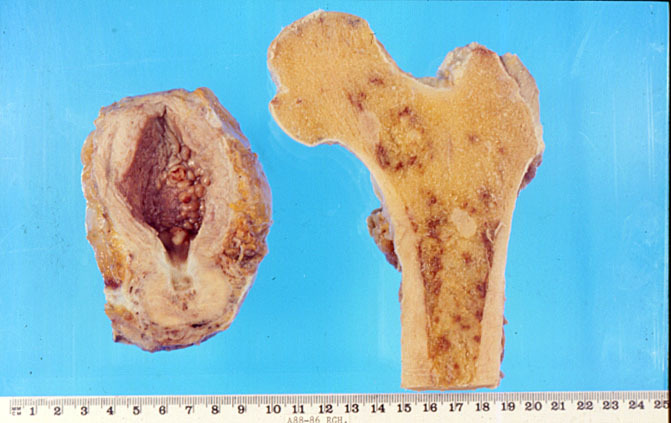 Image 4a (H&E, x2.5) and 4b (H&E, x10): Core biopsy fragments showing bone with infiltrating sheets of malignant cells. 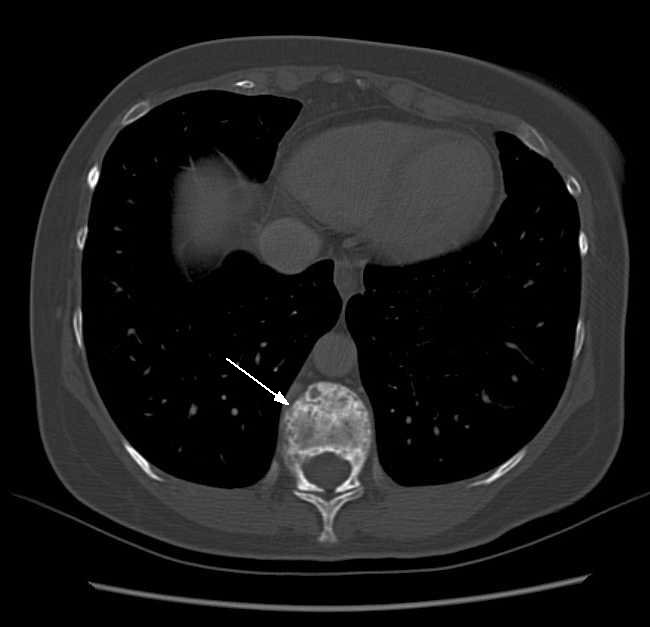 The patient had a history of renal cell carcinoma and the features are consistent with metastatic carcinoma.